what suppressing your truth will do (daily hot! quote) – AmyJalapeño! 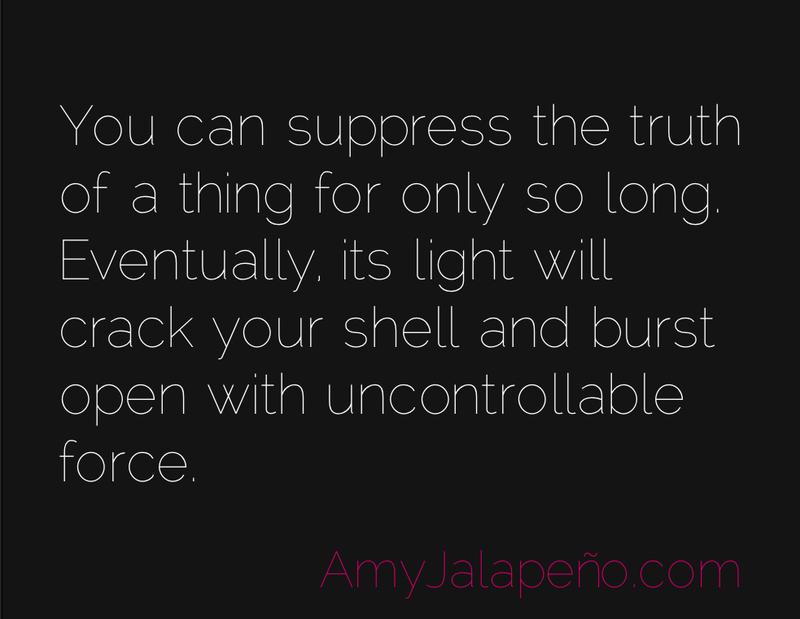 You can suppress the truth of a thing for only so long. Eventually, its light will crack your shell and burst open with uncontrollable force. Being honest with yourself moment to moment (as much as you can) is kinder on your mind and body. Suppressing feelings, desires, and passions is not dealing with them. You might as well build a bomb, place it in your home in some inconspicuous place and then set it to explode at some random point in the future.